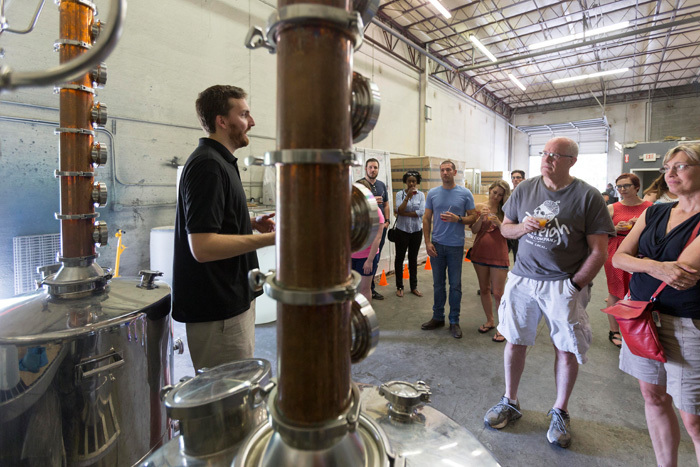 While explosive may not be the best word to associate with distilling, the industry’s growth in North Carolina is certainly booming. 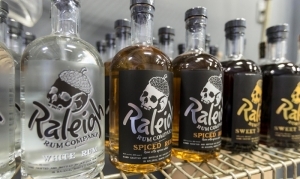 There are 68 licensed distilleries in the state, according to the N.C. Alcoholic Beverage Commission. Two years ago, there were roughly half that many. 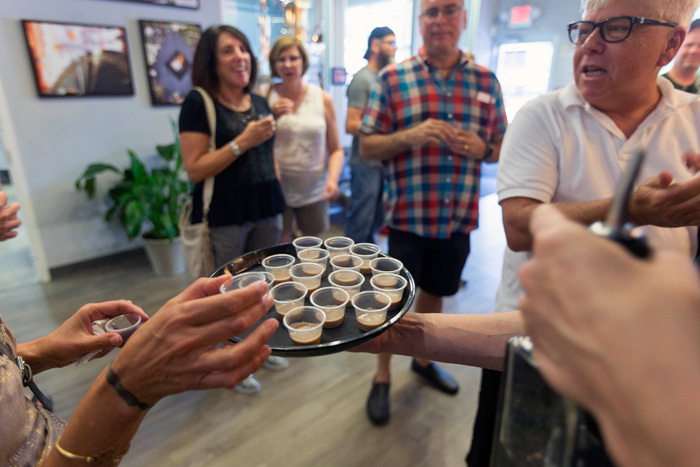 “It’s always going to be part of who we are as a state,” said Melissa Katrincic, vice president of the N.C. Distiller’s Association. 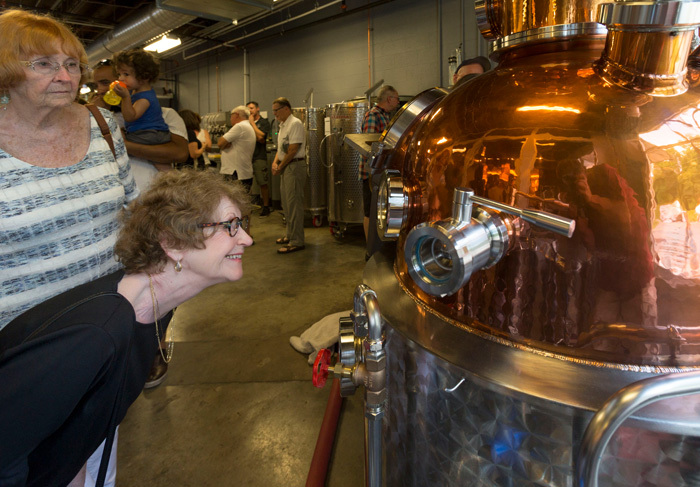 She points to the 540 distilleries in North Carolina before Prohibition as evidence of the longtime Tar Heel love of spirits. 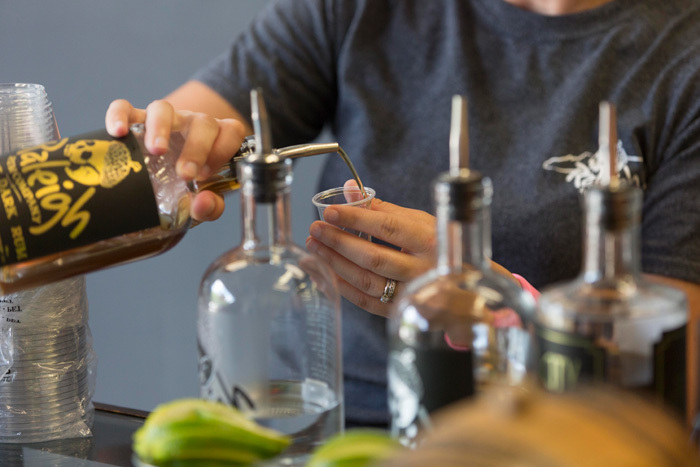 When Lee and Melissa Katrincic, founders of Durham Distillery, didn’t want to make a product that was like “licking a pine tree,” so they added notes of honeysuckle and other botanicals to their Conniption Gin. 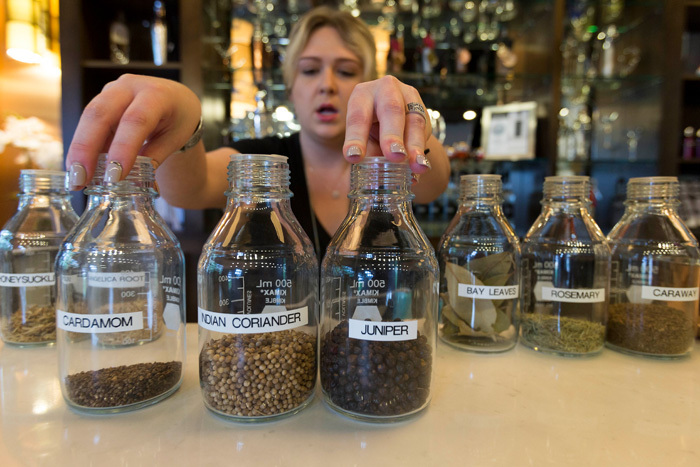 “It’s still a gin, but it’s not a gin that’s in your face in the same way,” says Melissa. 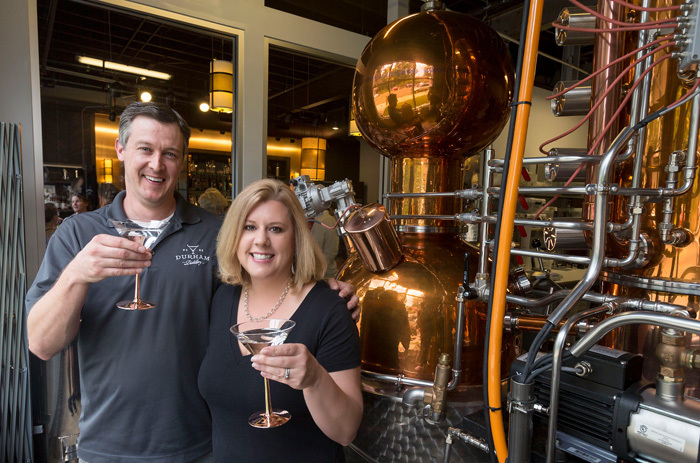 Those roots may have been soaked in moonshine, but Katrincic, who owns Durham Distillery with her husband, Lee, is excited about the variety and quality of spirits coming out of North Carolina. 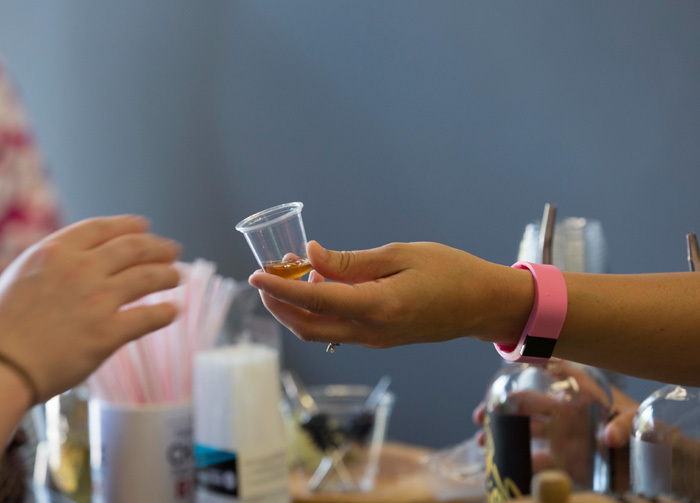 Katrincic has loved gin since she was a child and her grandfather would slip her the olives out of his martini. 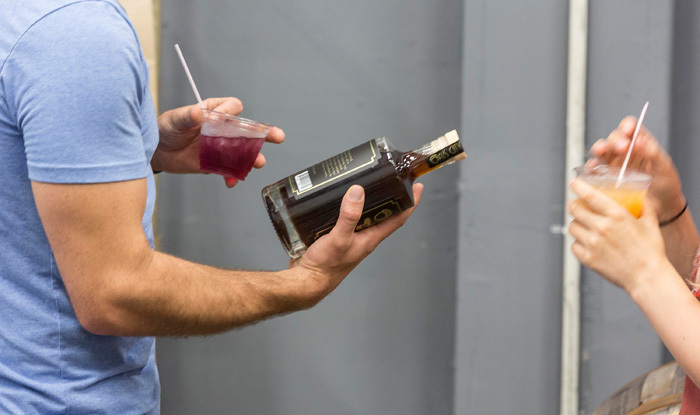 Even the name of their flagship spirit is tied to childhood memories. 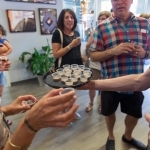 When she would get testy, her grandmother would tell her not to have a conniption. 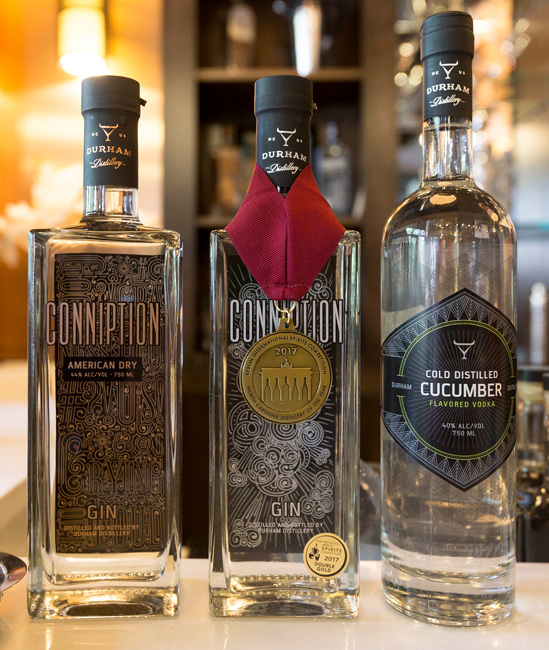 Their Conniption Gin has earned kudos in several international competitions, and their company was voted the second best gin distillery nationwide in USA Today’s 2016 readers’ choice awards. 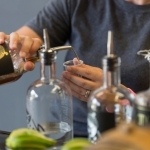 “Craft spirits is speaking to the idea of not drinking more, but drinking up. 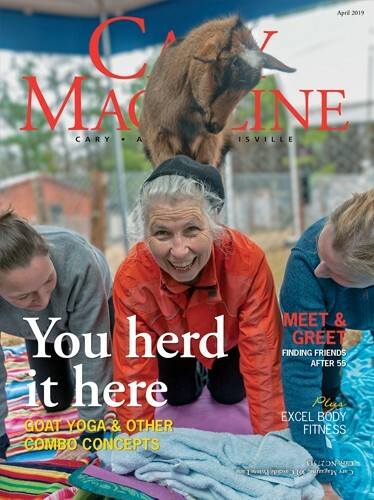 It’s not about quantity, it’s about quality,” she said. 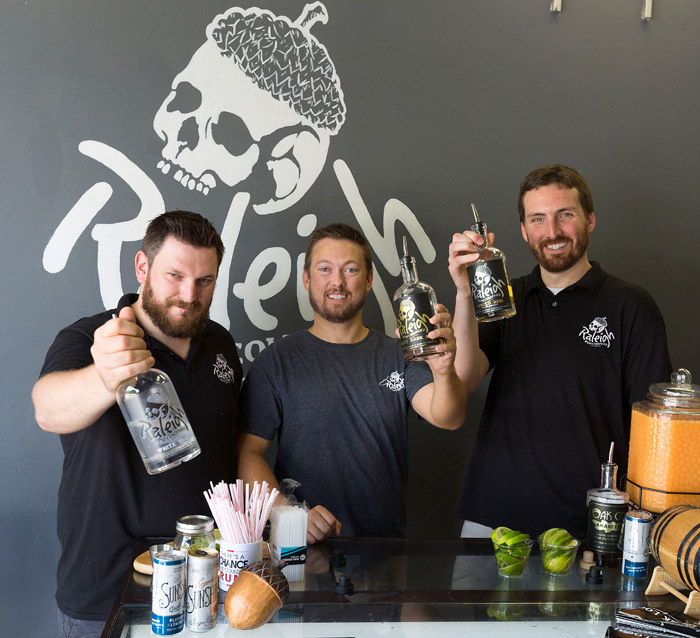 Apex High grads Matt Grossman, John Benefiel and Chris Mendler of Raleigh Rum are making their case for that very thing — holding regular Saturday tastings to convince visitors to spend a little more on a quality local product. 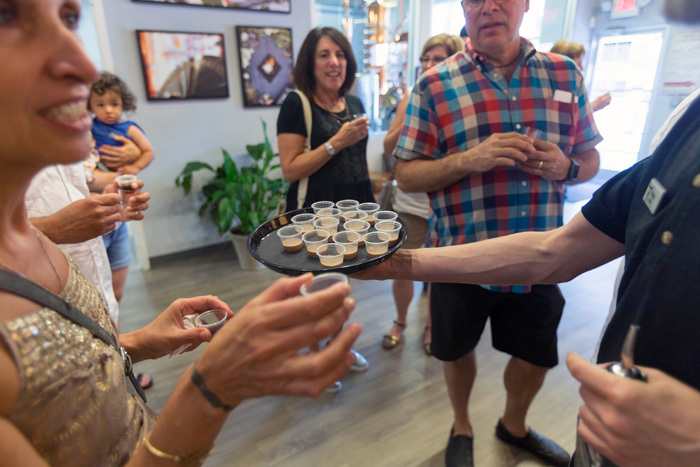 “A lot of people in this area, they’re pretty unique in that they like their local stuff,” said Grossman. 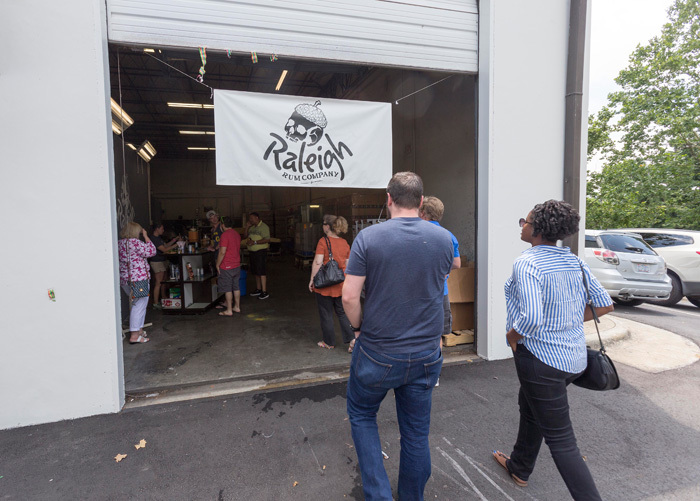 The three wanted to launch a craft brewery for years, but by the time they were ready to make the dream a reality, breweries were everywhere in the Triangle. 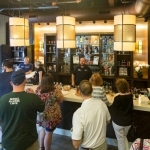 There were not many craft distillers, however. 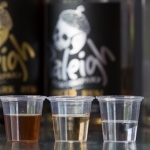 So after a successful Kickstarter campaign in 2014 and a lot of experimenting, the partners launched their business with a bang in April 2015. 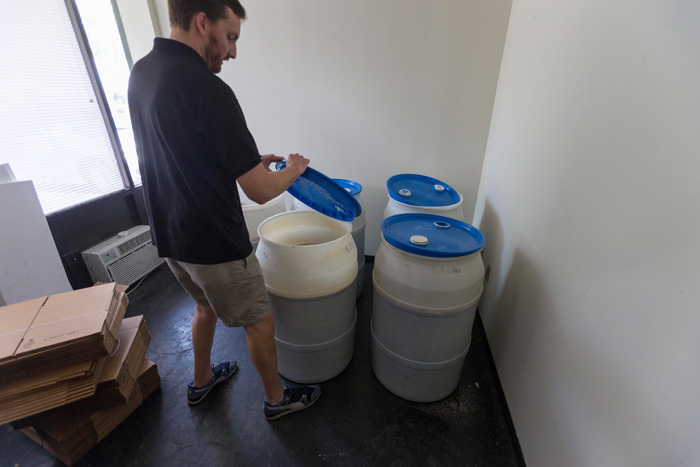 Their first batch of white rum — 600 bottles — sold out in two and half weeks. 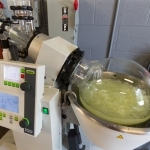 The second batch lasted five days. 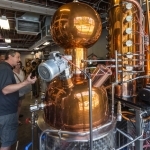 This initial success allowed them to buy a second still and increase production. 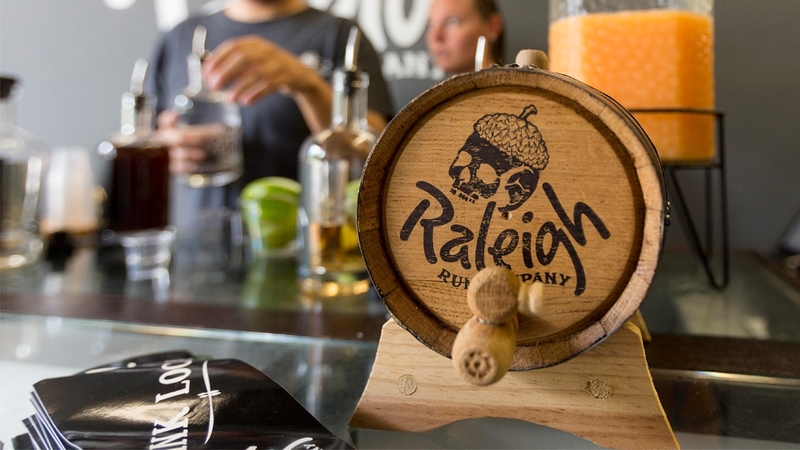 In addition to the white rum, Raleigh Rum now makes a spiced rum and a sweet, dark rum. 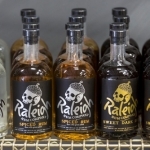 A hot pepper rum, to be called Carolina Reaper, is also in the works. 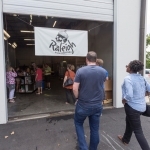 With these products, the partners hope to expand their regional presence. 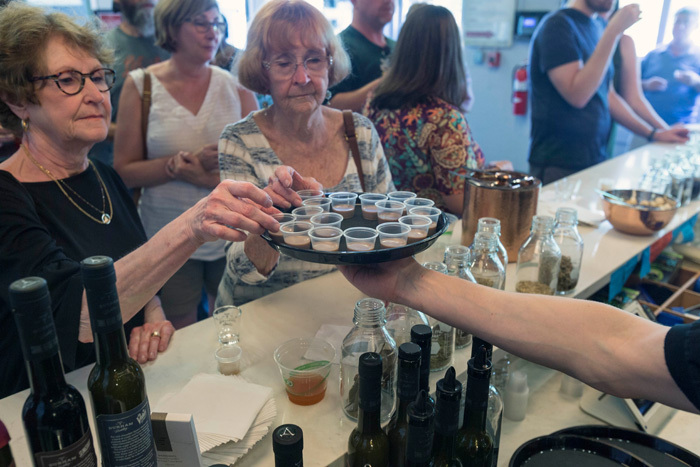 Despite recent industry growth, North Carolina spirits make up far less than one percent of total sales at the ABC stores, Grossman says. 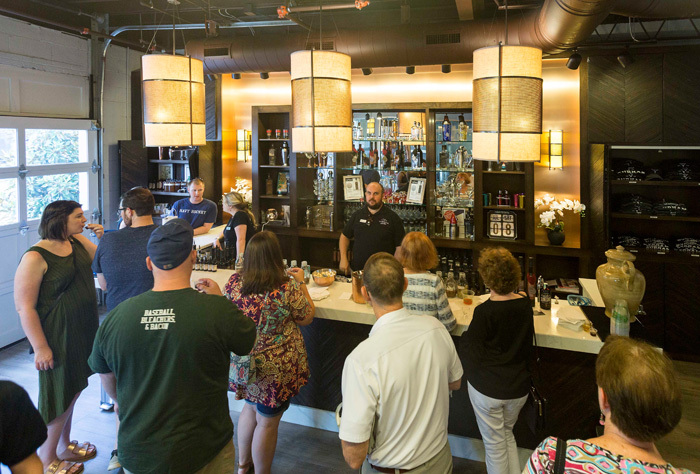 Mark Doble, founder of Aviator Brewing Company in Fuquay-Varina, says his recently-launched Gold Leaf Distilling Company is a natural progression from his other business. 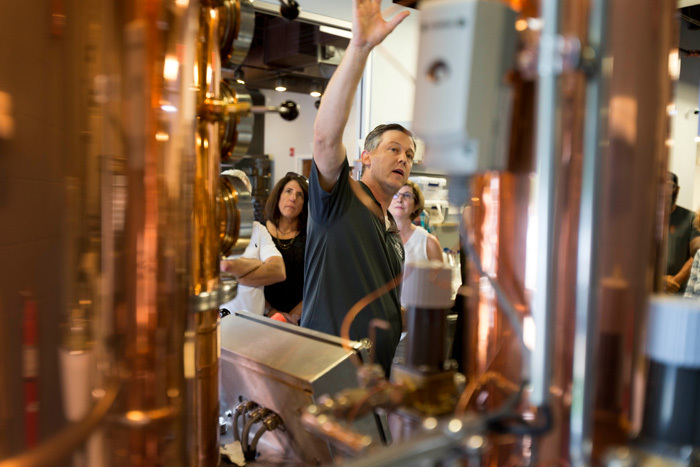 Matt Grossman, standing in front of Raleigh Rum’s two stills, explains to visitors how Louisiana molasses and brown sugar are distilled into rum. 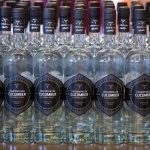 Spell Maker Vodka, a wheat-based spirit, should be in ABC stores by mid-August, Doble says. 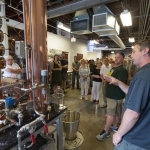 Tasting tours of the distillery will begin around the same time. 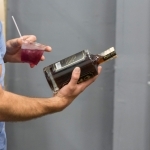 Other Gold Leaf products in the pipeline are a habanero vodka to come in October, and a spiced rum by the end of the year. 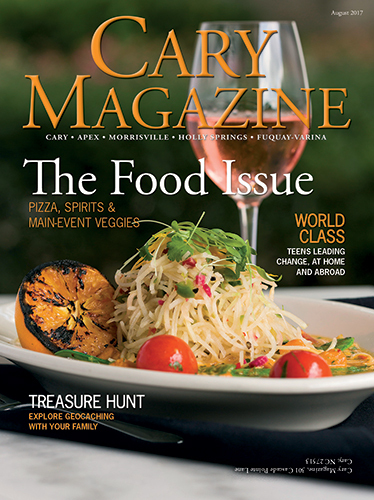 He says enjoying the process is also important. 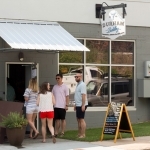 “A lot of people approach the product development from a market standpoint and try to fill a need. 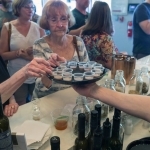 We just do things because we like to do them,” he said. 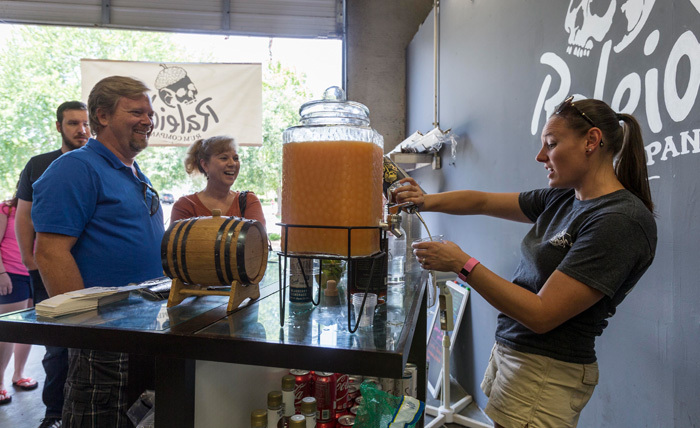 Stephanie Mendler mixes rum-based beverages so visitors to the distillery can sample the company’s products. 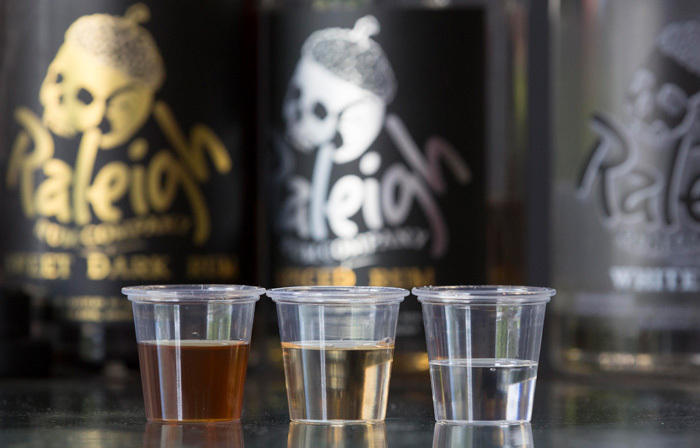 The company’s White Rum, Spiced Rum and Sweet Dark Rum are sold at area ABC stores, and Ezras.com will ship the spirits out of state. 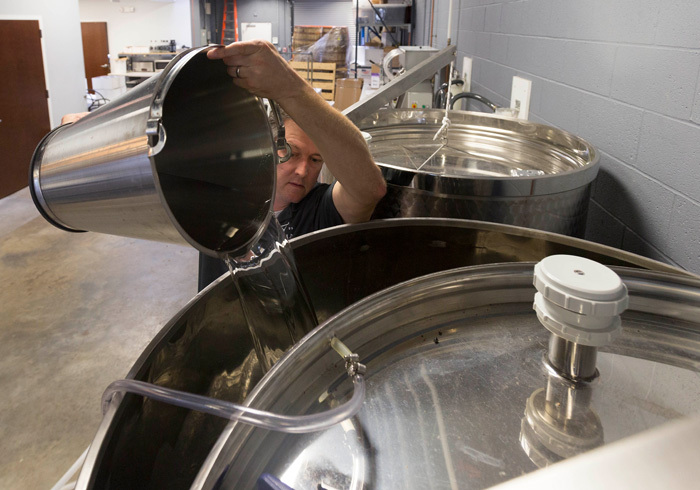 Beer and spirits start with fermentation, when yeast converts sugars in grain, fruit or vegetables into alcohol. 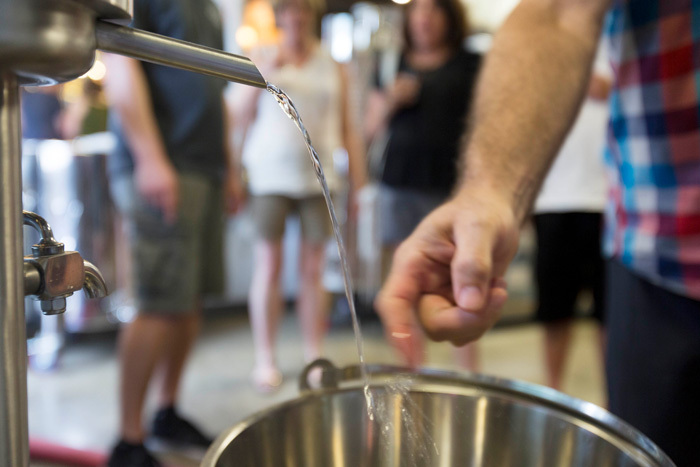 Beverages such as beer, wine, sake and cider end with fermentation. 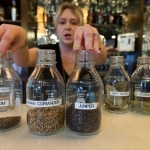 These all have a relatively low alcohol content, typically less than 15 percent. 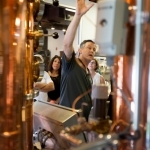 To make a distilled spirit or liquor, the fermented liquid is heated in the closed pot of a still. 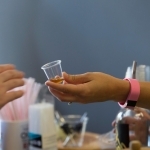 Because alcohol has a lower boiling point than water, the concentrated alcohol vapor rises from the heated liquid first. 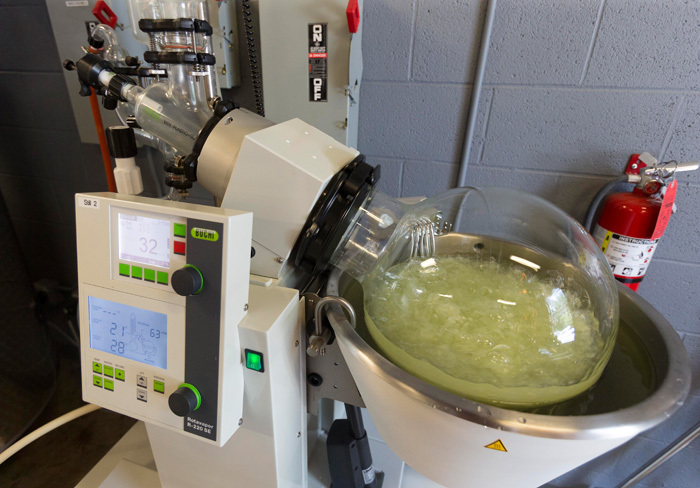 As this vapor cools, it condenses into liquid ethanol which is then collected for consumption. 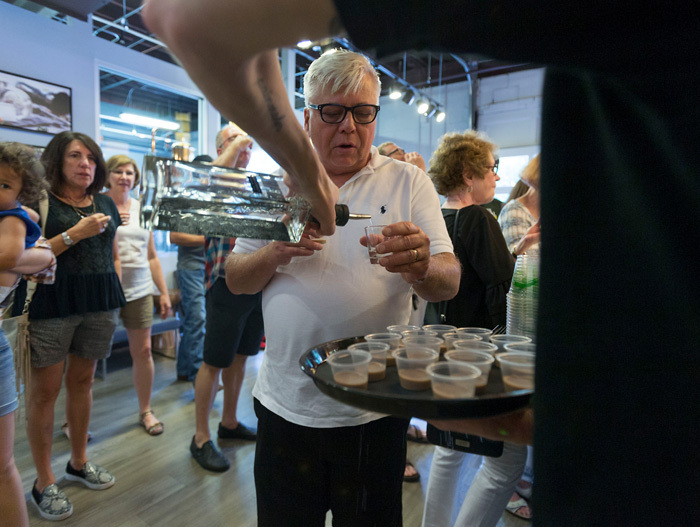 Don McAlpine of Fort Myers, Fla., tries Conniption Navy Strength Gin during a tour of Durham Distillery. 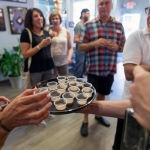 Visitors can also sample Conniption American Dry Gin, cucumber vodka, and liqueurs in coffee, chocolate and mocha flavors. 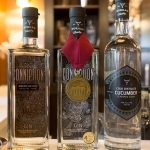 A bottle of Conniption Gin is packaged for a customer after a tour of Durham Distillery. 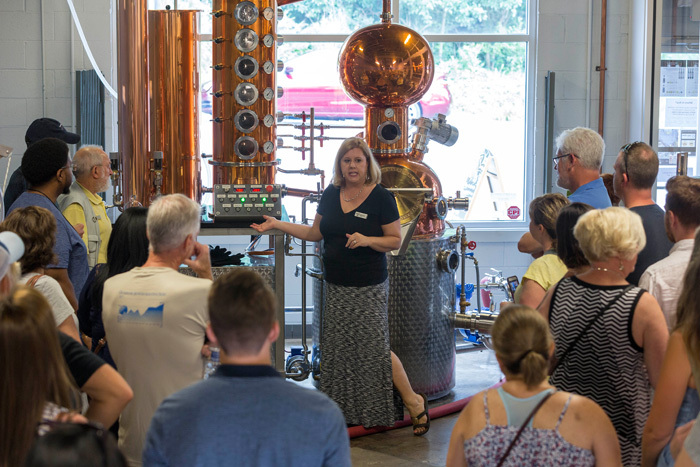 With the recent passage of State Bill 155, aka the Brunch Bill, distillers are now allowed to sell up to five bottles per person per year during tours of their facility. 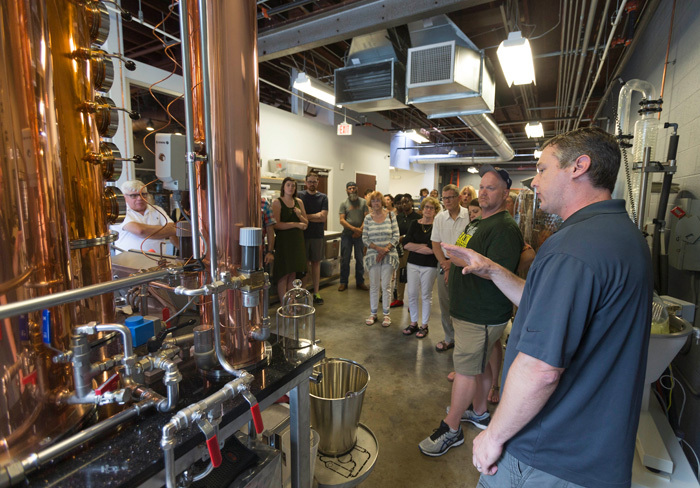 Area distillers welcome the change, saying it will help build momentum for regional products and small businesses. 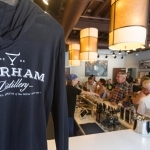 Melissa Katrincic at Durham Distillery calls the law a “game-changer,” saying it will improve her visitors’ experience. 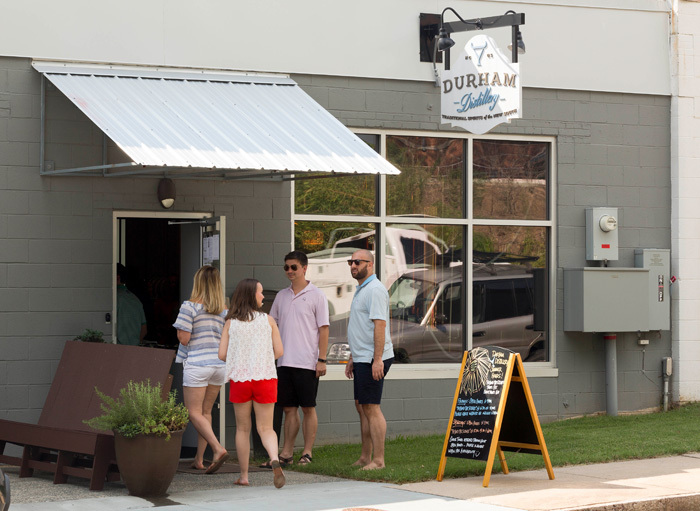 “When I have people from out of town who might be staying in downtown Durham, and they want to bring three bottles home, I want to be able to tell them that they can,” she said. 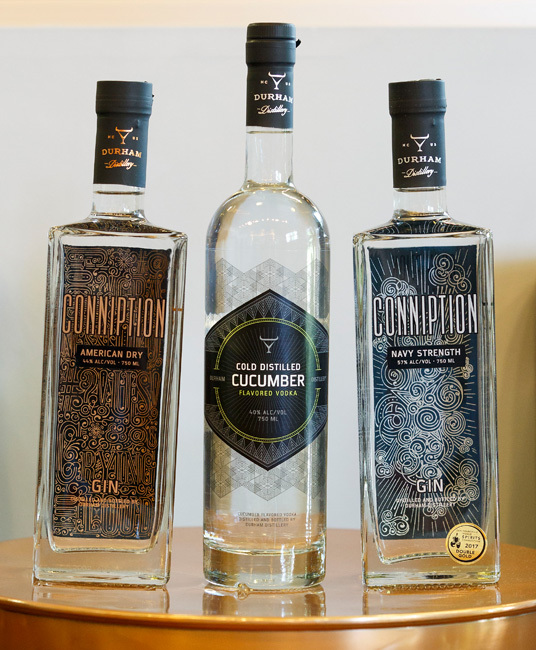 Visitors may buy one bottle of Conniption Gin, she says, then their second bottle might be a seasonal, small batch liqueur. 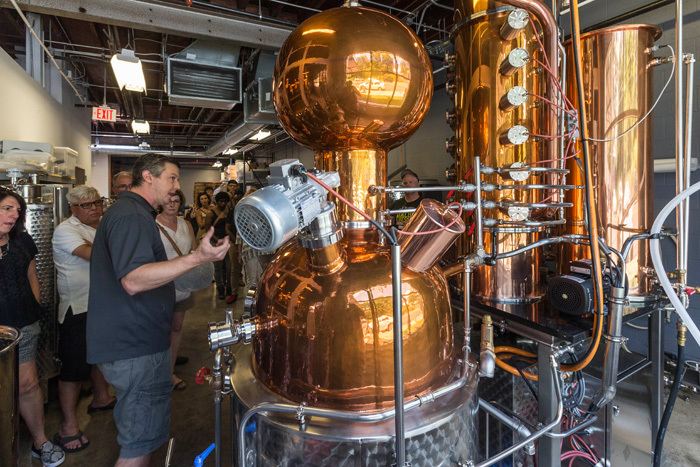 Most distillery sales will still come through the state-controlled ABC system and county-run ABC stores. 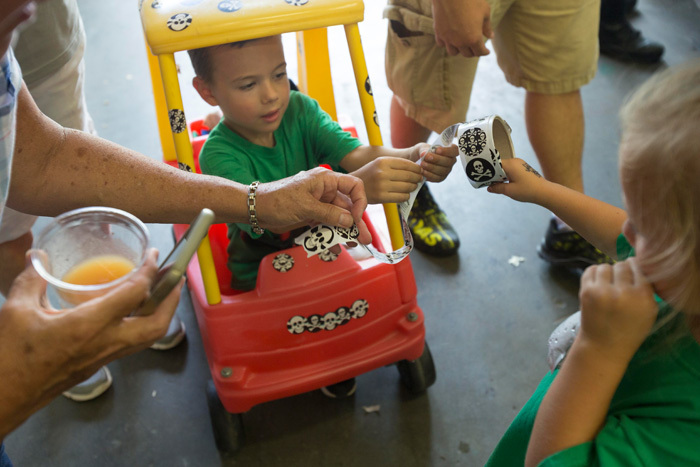 Jake Mendler, 6, and his sister Brooke, 4, play with stickers while parents Chris and Stefanie Mendler host visitors at Raleigh Rum Company. 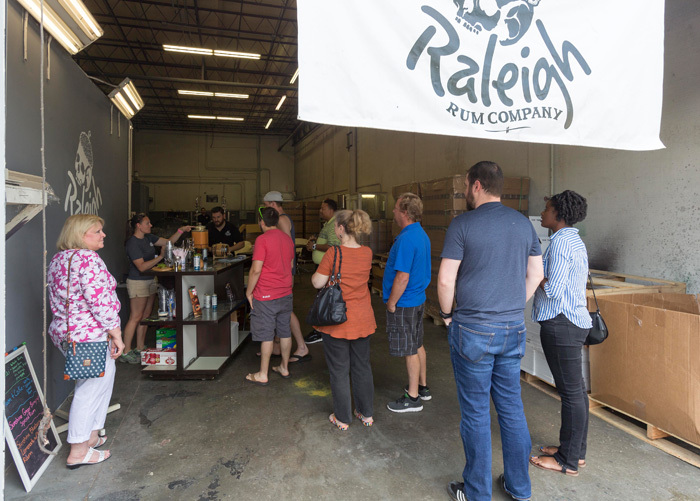 Visitors come out for a tour and tasting at Raleigh Rum Company. 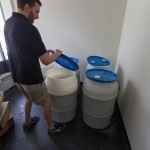 Matt Grossman checks on the fermented molasses and brown sugar used to make Raleigh Rum. 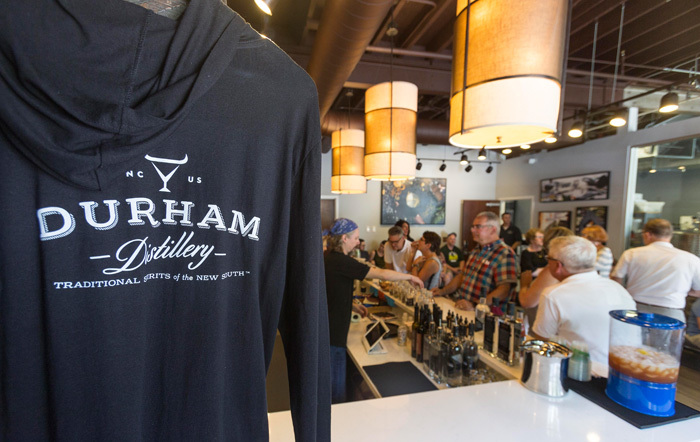 Visitors come out for a tour of Durham Distillery. 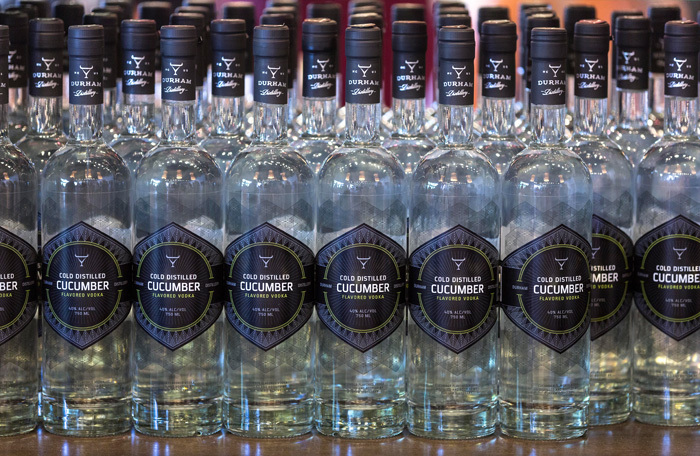 Cucumber vodka is the newest product from Durham Distillery. 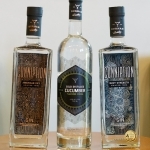 A variety of natural essences go into Conniption Gin and other spirits at Durham Distillery. 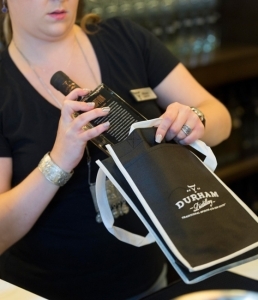 Visitors sample a variety of Damn Fine Liqueurs and other Durham Distillery products. 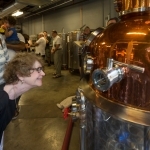 Rita Goebel of Durham leans in for a closer look at a vapor tray while attending a Durham Distillery tour with her sister, Jackie Kintigh or Wilmington. 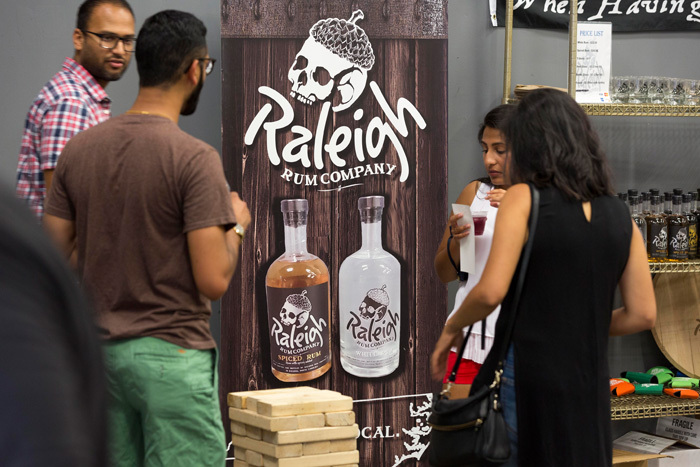 Thirsty for a taste of the growing North Carolina spirit scene? 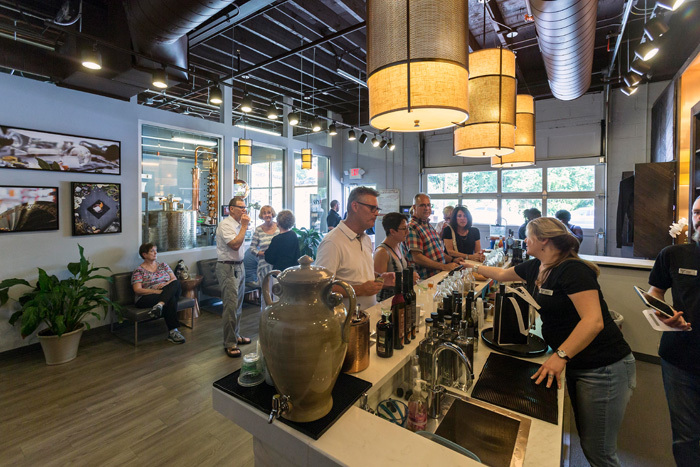 These craft distilleries in and around the Triangle offer tours and tastings. 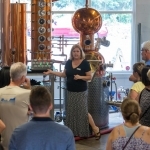 Tours: Saturdays at 2 p.m.
Tours: Saturdays, 1 to 5 p.m.
Tours: Saturdays at 2 and 4 p.m.
Tours (includes Pebble Brook Spirits): Thursdays and Fridays at 6 p.m., and Saturdays, 2 to 5 p.m.
Tours (includes Brothers Visgalys): Thursdays and Fridays at 6 p.m., and Saturdays, 2 to 5 p.m.
Tours: Thursdays at 5:30 p.m., and Saturdays, 1 to 5 p.m.
Tours: Fridays, 5 to 7:30 p.m.
Tours: Thursdays through Saturdays at noon, 2 and 4 p.m.
Tours: Founder Mark Doble expects to begin tasting tours mid-August.